We look back at the concepts that inspired the upcoming Corvette C8. Zora Arkus-Duntov was an engineering genius. The “Father of the Corvette” had a lifelong passion for cars and motorsport, and it was this enthusiasm that helped him land an engineering job at Chevrolet in 1953. As much as he liked the Corvette C1’s design, Arkus-Duntov was not satisfied with its technical specs. He knew it needed more power and had to be faster. His influences began to appear not long after he arrived in Detroit. The small-block V8 was added in 1955, for example. But beginning in the 1960s, Arkus-Duntov wanted to take the Corvette a step further: ditch the front-engine setup in favor of a mid-engine design. As an engineer, he fully understood this superior layout and wanted his beloved Corvette to be the best sports car possible. Unfortunately for him, Corvette purists refused to allow this to happen. Until now. , rumored to debut this January at Detroit, . 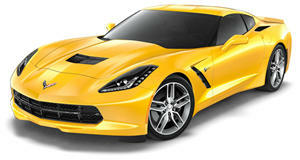 However, there were several Corvette mid-engine concepts built since 1964. None made production but were all unique in terms of design, engineering, and even engine choices. We dug into Corvette history and have gathered them all below. Although Arkus-Duntov died in 1996, his final wish is about to be granted. 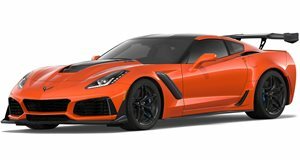 One of the reasons why Chevrolet began exploring the idea of a mid-engine Corvette was because its arch-rival, Ford, was developing the GT40, which would . The CERV II Concept, revealed in 1964, was the first mid-engine Corvette attempt. CERV stood for Chevrolet Engineering Research Vehicle, a deliberately boring name to help fool GM’s bean counters into believing the projects had more mainstream potential. Unlike the CERV I, a single seater concept built for potential Indy racing, the CERV II was a two-seater with a planned limited production run. Two engines were tested: a 377 cu. in. V8 with 497 hp, and a 427 cu. in. V8 with 550 hp. Power was directed to all four wheels. So why didn’t it make production? When the bean counters figured out what was going on, the engineers quickly changed tactics and said the concept was no longer a GT40 fighter, but rather a production preview of a mid-engine Corvette. They figured the latter would better work in their favor. Unfortunately, they were wrong and the CERV II never raced or reached production. Only one concept was built. Because they were engineers who clearly understood the benefits of a mid-engine layout, Arkus-Duntov and his team didn’t give up on their ideal Corvette. In 1968 the XP-880, more commonly called the Astro II, was built. Compared to the previous concept, the Astro II looked far more production ready, which was no accident. To help keep costs downs, engineers utilized off-the-shelf components, such as the 427 cu. in. V8 with 390 hp. The two-speed transaxle came from the Pontiac Tempest. Underneath that stunning body (notice its lack of front and rear bumpers) were some interesting mechanical choices. For example, the radiator was located at the rear in order to avoid the coolant tubes running through the cabin to the front. However, this did create a rear weight bias. Although issues like that would have likely been worked out if a production green light was given, GM brass again shot down the idea. Arkus-Duntov reportedly wanted the Astro II to become the C4 Corvette that would eventually launch in 1984. Another reason the concept was doomed was because mid-engine sports cars were relatively rare at the time, and those that did exist were not exactly cheap. 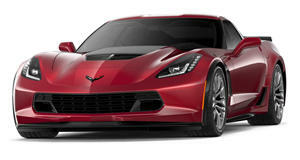 The mid-engine Corvette pressure continued. In 1970 came the XP-882 as a response to the likes of the Mercedes-Benz C111 and DeTomaso Pantera. Chevrolet was concerned that both vehicles would go on to have very successful production runs, and it didn’t want to take any chances and be left behind. It had an engineering reputation to live up to, after all. The XP-882 premiered at the year’s New York Auto Show to high acclaim. Power came from a transversely mounted 400 cu. in. V8 paired to a three-speed automatic transmission taken from the Oldsmobile Toronado. The general response to the car was so good that GM allocated funds to build a big-block version and for continued general development prior to production. Obviously it never happened. What went wrong? Well, GM got caught up in its own success with the XP-882. You see, GM management also asked engineers to build a rotary-powered prototype, figuring this engine design was the future. The V8 versions were ultimately dropped. But what happened to the rotary concept? Read on. Before we come to the rotary engine story, there was yet another traditional V8-powered mid-engined prototype that also never came to be, the XP-895. Revealed in 1972, the XP-895 picked up where the 882 left off. It utilized the same chassis and was also powered by a 400 cu. in. V8 paired to the same three-speed transmission. Even the exterior design looked remarkably similar, but there was something different: its aluminum body. This allowed for significant weight reduction over the typical steel-bodied cars at the time. However, the fiberglass-bodied C3 was kept in production for one very good reason: it was selling incredibly well. Why bother messing with a winning formula? GM figured this made no sense and so the decision was made to keep building the C3 for a few more years. Now here’s where things get particularly interesting. In 1973 the XP-897 GT concept premiered. Although it looked similar to the XP-882, there was one major difference: instead of the V8 there was a 266 cu. in. two-rotor Wankel engine with a grand total of 180 hp. Why go with the rotary? Blame the Chevrolet Vega. There was an initial plan to power the Vega with a rotary engine. It never happened and nor did the XP-897GT. Wankel rotary engines were not exactly the most fuel efficient and the oil crisis, which began that year, didn’t help matters. Another interesting thing about the XP-897 GT was its compact dimensions. Roughly the size of a Porsche 914, the XP-897 GT may have sounded like a good idea on paper, but reality is something else entirely. The same year the US oil crisis got underway, Chevrolet built not one but two experimental rotary engine Corvette concepts. Because the XP-897GT severely lacked power, GM figured it’d be worth a shot to see how a four-rotor design would work. In short, it didn’t. Even Arkus-Duntov didn’t like the idea, but GM management demanded an attempt be made. The result was a rather unconventional design method involving two separate engines. Both rotary engines were connected with a V-belt with power directed to the rear wheels. Total displacement: 585 cu. in. producing a total of 360 hp. Test drivers even managed to get the concept up to 148 mph on a GM track, but they also noted it drove like a dinosaur. Fuel consumption? Unknown, but it must have been horrible. The four-rotor Corvette was doomed from the get-go. A few years later, GM had given up on its rotary concepts and returned to a V8 for the Aerovette. Revealed in 1976, the Aerovette was unlike any other Corvette concept due to its futuristic design and gullwing doors. As was common in that’s era’s automotive concept design, the Aerovette also had some wedge-like styling, something found on Italian supercars like the Lamborghini Countach. The final result was a stunning preview of what a mid-engine Corvette could look like and the media and much of the public had an enthusiastic response. Of course, much of that styling would have been toned down for a production version but it seemed like Chevrolet had finally figured out a proper mid-engine Corvette formula (stick with a conventional V8 and a bold design). Unfortunately, the Aerovette remained a concept, likely due to GM’s refusal to take a chance. In short, it lacked the guts to go bold. This decision was made even while the front-engined Nissan 280Z was hurting C3 Corvette sales, and yet GM balked at the opportunity. The C3 remained in production and became the longest-running Corvette, built from 1968 until 1982. By 1986, the C4 was already two model years into its 12-year lifetime and yet GM was still interested in a mid-engine Corvette. Arkus-Duntov retired from GM in 1975, but his desire to see the Corvette’s engine placed behind the driver was shared by his successors. The result was the 1986 Corvette Indy, and it was packed with advanced technologies. 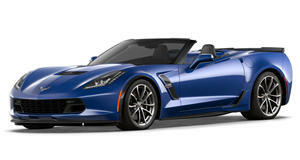 For starters, its small 2.65-liter V8 came directly from GM’s Indy car program. Its chassis was a composite monocoque and the body was made from carbon-Kevlar. Engineers even went with four-wheel-drive and four-wheel-steering. The Lotus-developed suspension was also quite something. It didn’t use shock absorbers or even conventional springs, but rather a fully-hydraulic system that used microprocessors to decide the precise position of each wheel based on current acceleration. Sounds pretty cool, right? Indeed, and that’s probably the reason it never made production. Something this technologically cool was also very expensive. The price for development and materials would have been passed down to customers. Was there a way to somehow reduce those costs? Fast-forward to 1990 with the debut of the CERV III concept. Beginning with the previous mid-engine concept, GM engineers did their best to reduce costs. This resulted with the use of the 1990 Corvette ZR-1’s 5.7-liter V8 instead of the Indy-derived V8, but engineers still couldn’t help themselves in the power department. They bolted to that already powerful V8 a couple of turbochargers for a total output of 650 hp and 655 lb-ft of torque. Supposedly, top speed reached 225 mph. The exterior design was also similar to the Corvette Indy, though it was toned down somewhat. For example, the front end was shortened to make driving over speed bumps easier and bumper height was increased to meet legal requirements. Even the door glass was reshaped so that the windows actually rolled down. So what doomed the CERV III’s production chances? Price. Its carbon fiber body was still expensive, as were the dual turbochargers. Engineers also kept the four-wheel-drive system, but they should have known better. That system, GM finance guys calculated, would have driven the car’s price tag to $300,000, if not more. For that money, one could buy a Ferrari F40. All of these mid-engine Corvette concepts were unique, but they were either too radical or too expensive to build. The mid-engine Corvette is nothing new, but only now will we finally see it become a production reality. Zora Arkus-Duntov is finally getting his wish.